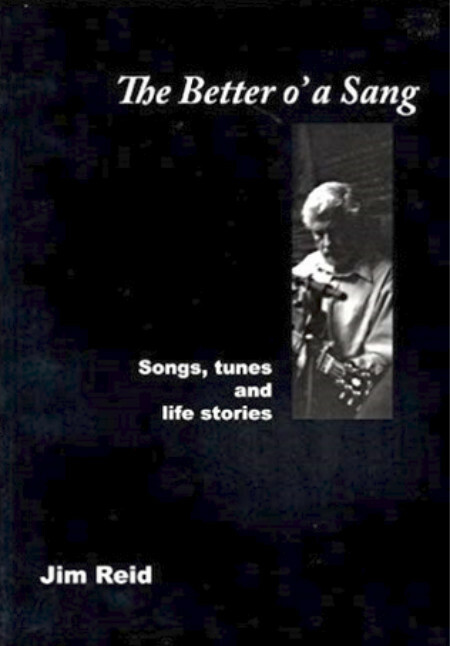 75 songs & poems: The Better O’ A Sang * The Foondry Band * Grant Farquharson Of Inveravon * Bella And Roy * Jim Reid Of Letham * Fergie’s Isla * The Isla Watcher * Stewarts Of Blair * Auchmithie * Loch Duich * Rumness * Doonwind O’ Bogheid * Auchmithie Cliffs * C Stewart Of North Lodge * The Auld Beech Tree * Craw Craw Heedrum Ha * Turin, Lour And Lownie O’ * The Taysiders * Adam’s Loch Lomond * Charlie’s Version -The Wedding O’ Macphee * The Bonnie Banks O’ Loch Lomond * The Spark Amang The Heather * The Poli’ Folly * Eh’M Fae Dundee * Catherine Street * Whar The Dichty Rins * And We Didn’T Know * The Stobbie Parliament Picnic * The Dixie Fu’ O’ Beans * The Vinney Den * The Wild Geese * Rohallion * Faur-Ye-Weel * Tinkers Baloo * Halloween * The Wise Like Chap * The Greylag Geese * The Tramp To The Tattie-Dulie * Back In Time * Marag Cnocach * Archie’s Caravan * Expert Angler * The Deein’ Stag * I Canna Find The Thyme * Freewheelin’ Now * The Foundry Band * James And Dinah’s Diamond Waltz * Welcome To The Glen * Back In Scotland * Another World * Linda A Reid * Craig D Reid * For The Love Of My Country * Jamie Reid * The Laird O’ Pitmuies * The Den O’ Aldbar * Auld Ballumbie * Who Said The Times Are A’ Changin’ * Stravaigin * Isle Of Mull * The Winds Of Tiree * The Moothie Man * Fly Again * An Ordinary Genius * No Indespensable Man * The Road To Nowhere * We Span The Sea * The Constant Flow Pump * I Talk To The Trees * It Took You Long Enough * Three Words * Music On His Mind * The Guiding Lights * Scots Wha Hae * It’s Been Fun. A collection by the late Jim Reid, the Angus folk singer whose music evokes the romance and humour of North East Scotland. Jim’s musical traditions came mainly from Dundee and the lands just north of the River Tay. Many of his songs are about his home town, and the people and places of the surrounding county of Angus. With a natural, unforced style he was one of the best traditional singers from this part of the country, and had some very emotional songs in his repertoire. He was a member of The Taysiders in the 1970s, and became better known one of The Foundry Bar Band from Arbroath, recording three albums with them in the 1980s. Later, Jim partnered with accordionist John Huband to record Freewheeling Now. His 1984 solo debut I Saw The Wild Geese Flee is regarded as a classic Scottish folk album. He has also featured on other recordings including Linn Records’ Complete Songs Of Robert Burns and the Hamish Henderson tribute A’ The Bairns O’ Adam. Jim won the STMA Scots Singer Of The Year award in 2005. He died in July 2009. Song lyrics, poems, melody lines and photographs. 104 pages, softcover. Next title: Mike Vass and Dave Wood - Wait What?